Since 2018 “Latakko” Ltd. is a member of the Latvian Tire Management Association (LRAA). The association brings together leading tire traders and environmental management companies of the country. 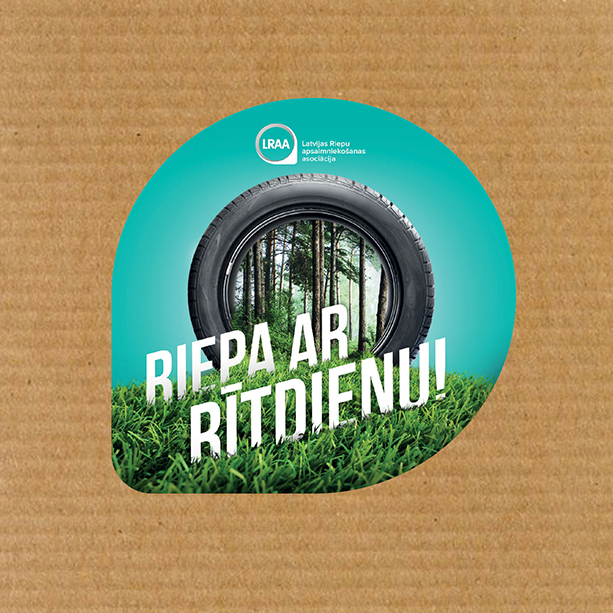 Its mission is to create a sustainable tire management and recycling system in Latvia. Since 2010, “Latakko” Ltd., in cooperation with the network of tire centers “Pirelli Key Point”, has organized a charity campaign called “Tires with the heart.” During the campaign, “Pirelli Key Point” donates 1.44 EUR to the Children’s Clinical University Hospital from each sold set of summer tires. In this period, buyers have been asked to donate using donation boxes placed in all “Pirelli Key Point” tire centers or by direct transfer to current accounts of the Children’s Clinical University Hospital. In four years, the total amount of donations has exceeded 50 thousand EUR. With the money raised, the Children’s Clinical University Hospital has purchased much necessary equipment including: artificial breathing equipment, phototherapy lamps, devices for infant hearing verification, heating beds, vital monitors, respiratory inhalers, special cots for prematurely born twins, “Dermatome” devices used in skin transplantation, perforators for treatment of burns and more. On 24 April, 2015, “Latakko” Ltd. presented the city of Riga with a lane of West Himalayan birch trees near Mara’s pond. In 2014, “Latakko” Ltd., celebrated its 20th anniversary and decided to mark this important event together with its employees and residents of the city of Riga by leaving a memorial sign in the image of the birch lane in Agenskalns near Mara’s pond. Employees of “Latakko” in cooperation with employees of “Darzi un parki” (“Gardens and Parks”), the division of “Rigas mezi” Ltd. (“Riga Forests”), created the tree lane, and planted 20 West Himalayan birch trees. See more about the event here! See more about the event here!